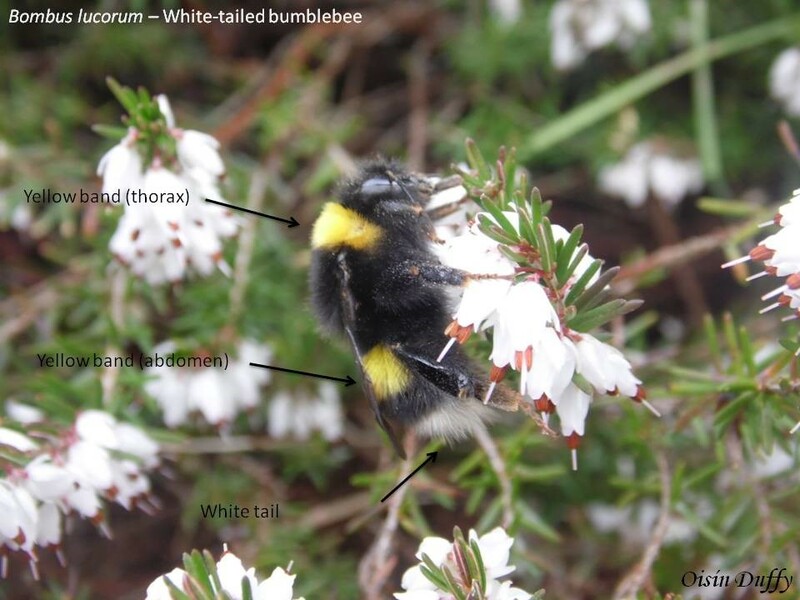 Following on from my last piece on the Buff-tailed Bumblebee (Bombus terrestris), it now makes sense to look at one of its most similar species, the White-tailed Bumblebee (Bombus lucorum). 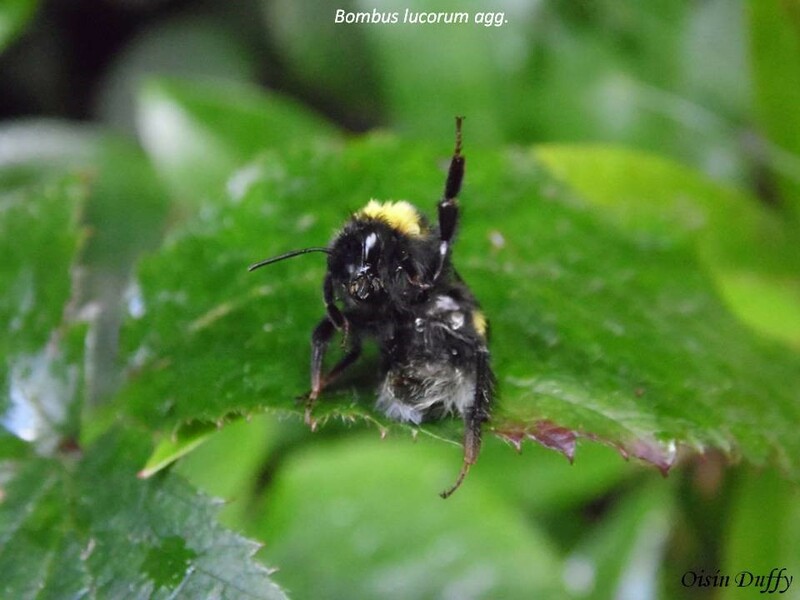 White-tailed bumblebee Queens are large and striking creatures that have the characteristic black and yellow pattern, which we have come accustomed to associating with bumblebees. For a short recap on where I start with bumblebee identification, I look at the tail colour first, then the number and colour of bands present (or in some cases the lack of bands). Fortunately the name of this species is an important identification feature, the white-tailed bumblebee has, well a white tail. 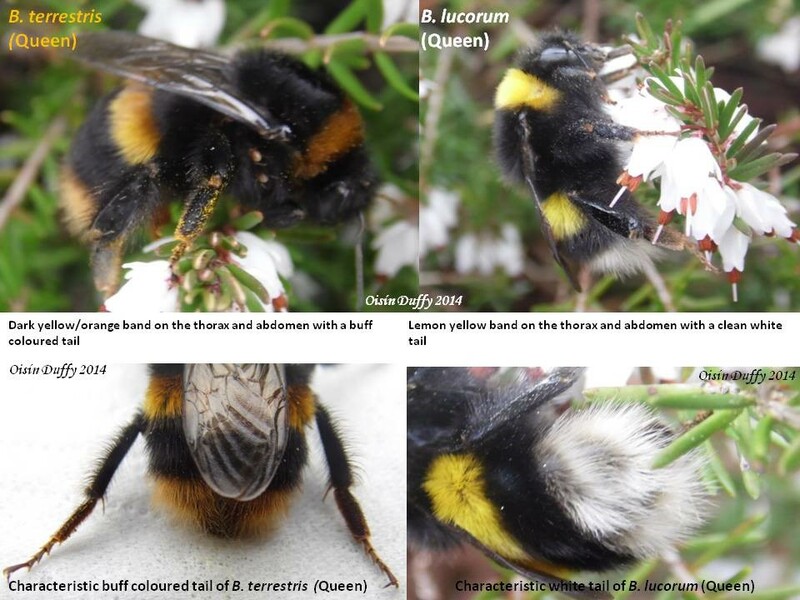 For B. lucorum queens the tail colour is a very clean, striking white, unlike that of the buff-tailed bumblebee, which can have anything from an off-white to an almost orange coloured tail. The next thing to look for is the number and colour of bands which are present on the individual. On white-tailed bumblebees the bands tend to be a fresh, bright, lemon yellow colour, unlike the darker yellow, almost orange coloured bands of the buff-tailed bumblebee. It is much easier to identify these species once you have a comparison, after that you will start to recognise what exactly you need to look out for. I have recorded this species in a number of different habitats, from conifer plantations, roadside verges, sand dunes and gardens. Males differ from queens and workers in that they have much more extensive yellow colouring (generally on the abdomen), along with yellow tufts of hair on the face (male bumblebees of many species will have yellow tufts of hair on the face, I like to think of this as a bumblebee beard of sorts and it becomes rather easy to spot after you have seen a few). 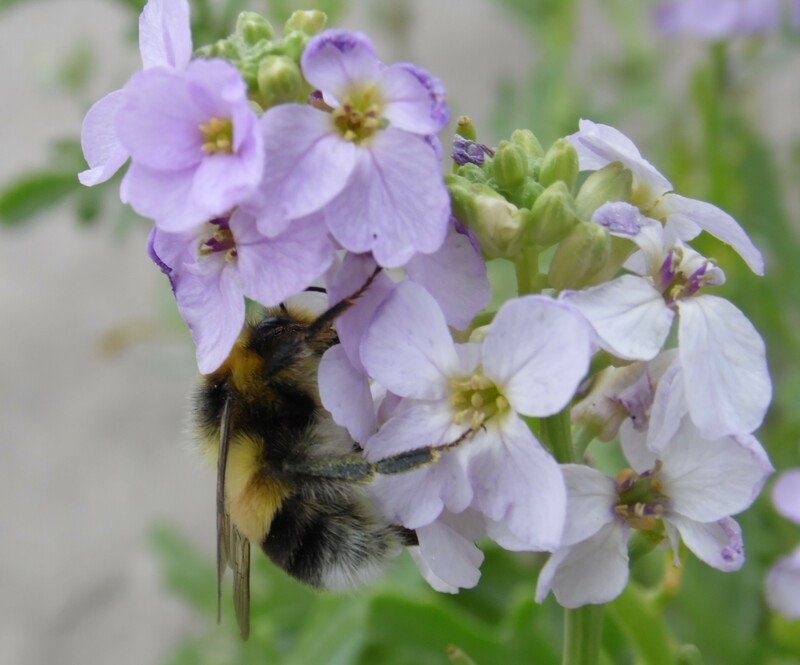 Back in 2014 while I was botanising at Murvagh, in the south of Co. Donegal I came across a large number of bumblebees feeding on Sea Rocket (Cakile maritima), Queens, males and what could be assumed to be workers of B. lucorum were feeding also. The workers of B. lucorum cannot be reliably told apart in the field as they are extremely similar to the workers of B. terrestris. The only reliable method appears to be DNA analysis or alternatively if you find a nest and are lucky enough to see the queen then you can assume that the workers flying in, out and around are the same species. B. lucorum is part of a closely related species complex that also includes B. magnus and B. cryptarum. DNA analysis is also required to tell these species apart.